Benwood Police DepartmentMeteor sighted along east coast in the US last night. At around 6:20 pm EST on Nov. 3, reports started trickling in that a brilliantly bright, green meteor was tracing its way across the night sky. 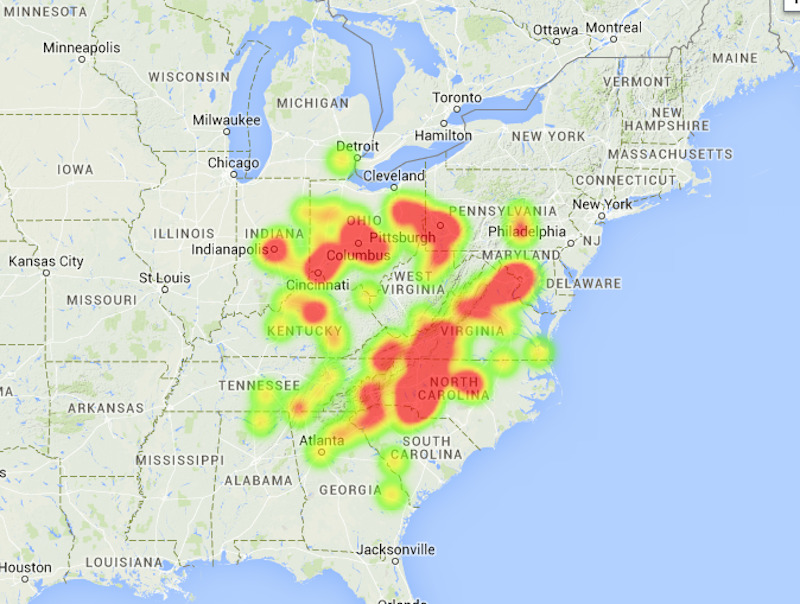 Over the course of the night, the American Meteor Society (AMS) received over 250 reports of meteor sightings. “Folks in Virginia say it was huge – it looked like a bottle rocket,” Drew Curtis tweeted. And NASA’s Bill Cooke confirmed with ABC’s Good Morning America that the object does, indeed, appear to be a meteor. The signings occurred all over the Eastern US — from South Carolina up to Ohio. Benwood Police DepartmentBenwood Police Department capture video footage of last night’s meteor. The reports came from as far west as the state of Indiana reaching as far east as the Virginia coast. Below is a heat map from the AMS showing the expanse of the reports across the midwest and east coast. Red indicates the highest volume of reports. 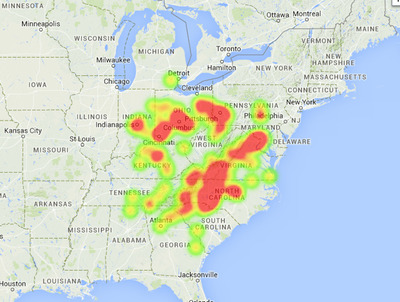 American Meteor SocietyHeat map of last night’s meteor sitings. The meteor could be part of the Taurid meteor shower that is happening all month. 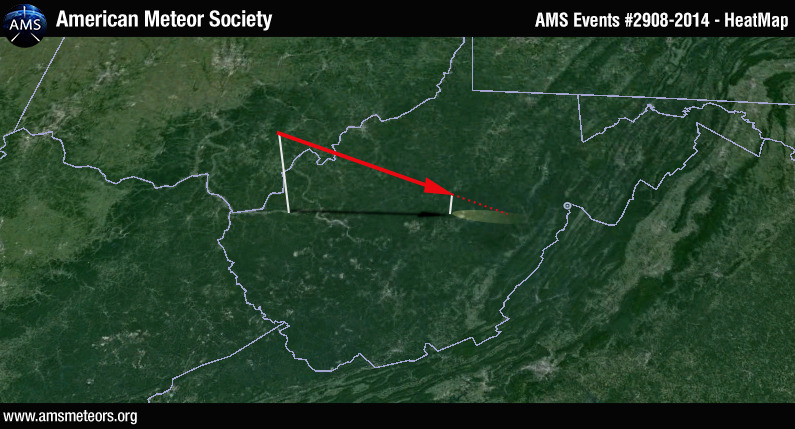 The meteor likely entered Earth’s atmosphere above western West Virginia and then traveled eastward across the sky eventually impacting between Webster County and the Randolph County, West Virginia. The AMS predicted this path and impact site from the reports they received. The projection is shown below. American Meteor SocietyPossible path the meteor took across the sky last night. According to ABC’s Chief Meteorologist Sean Sublette, the green colouring is an indication of magnesium molecules in the meteor. There were other reports last night of a bright meteor-like light in the skies over Chicago. However, both NASA’s Bill Cooke and AMS said it was moving too slowly to be a meteor and is likely a piece of space junk burning up. Did you see a meteor last night? Send us a picture or video.